Well, who said that the Easter Bunny has to have a full basket of eggs? Why not just one, in this oh, so adorable single-egg basket. These baskets are a perfect decor for your Easter table, or egg carriers for those tiny bunnies in your life. Easy and quick to make, you can get ahead of the Easter rush and make as many as you want in short order. They will also make a great addition to your seasonal amigurumi collection. Link to that pattern is below. 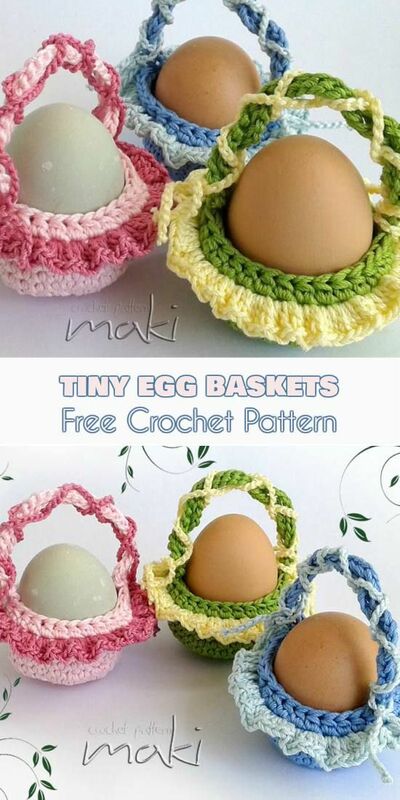 Tiny Easter Egg Baskets – Free Crochet Pattern is >>here< .